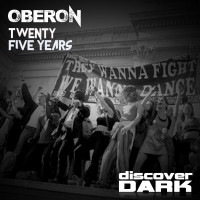 You know its going to be a good year for the label when you start the year with an Oberon release and this latest dark excusion is a biggie. Called simply Twenty Five Years in recognition of time served comforting the disturbed on the dance music scene and a clue as to what is planned over the next 12 months, Twenty Five Years is like Donna Summer on acid with added hammers!! He is the dark lord of trance, no prisoners have been taken whatsoever and this is twisted trance at its very best!! 'Twenty Five Years' is available now from Beatport and iTunes.